September 26, 2012 Jim, E.J. & Chris Had to work Hard and be patient to have a Good Day on Lake Calcaseiu !!! September 26, 2012 Jim, E.J. & Chris Had to work Hard and be patient to have a Good Day on Lake Calcaseiu !! Gulp & Live Shrimp helped but these beauties in the cooler. 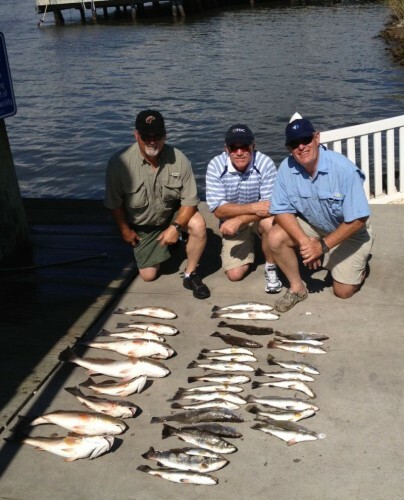 September 23, 2012 Kevin, Jimmy, & Don From Shreveport Wore Em Out on Lake Calcasieu !!! Over 100 Caught , Kept 77 !!! 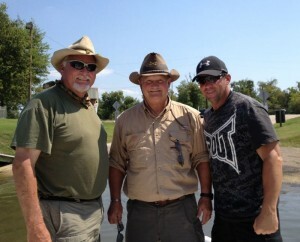 September 23, 2012 Kevin, Jimmy, & Don From Shreveport Wore Em Out on Lake Calcasieu !! Live shrimp filled the cooler with Big Lake Bronze Beauties and Lake Calcasieu Silver Bullets and a few Hackberry Halibut to Make it One Slam of a Day!!! 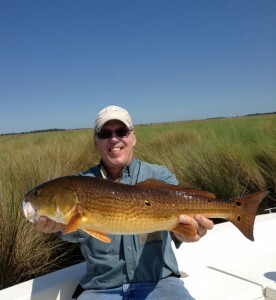 September 19 , 2012 Leighton M. & Uncle Hank Have a Great Day on Lake Calcasieu!!! 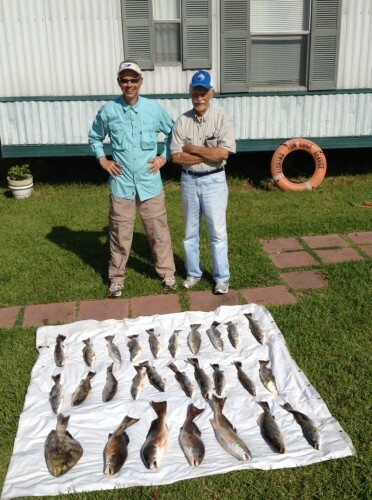 September 19 , 2012 Leighton M. & Uncle Hank Have a Great Day on Lake Calcasieu!! Live Shrimp was the key to these 2 lb Big Lake Beauties!!! 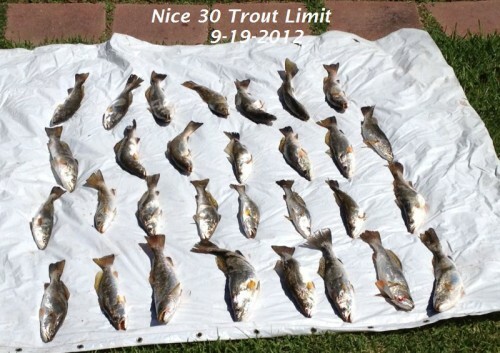 September 19,2012 Nice 30 Trout Limit And A Catch and Release Limit of 5 to 10 LB Reds!!! September 19,2012 Nice 30 Trout Limit And A Catch and Release Limit of 5 to 10 LB Reds!! All Caught on Gulp! This cool air has these fish hungry and it will only get better!!! September 16, 2012 Mike E. & Son Josh, Friends Alex and Steve Have a great Trip on Lake Calcasieu!!! 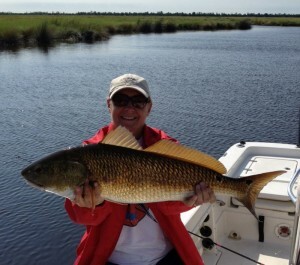 September 16, 2012 Mike E. & Son Josh, Friends Alex and Steve Have a great Trip on Lake Calcasieu!! Alex had a lot of the action going with Live Calcasieu Point Shrimp under a popping cork but Mike , Steve and Josh stuck with Gulp and put some nice Reds and Flonder in the Box!!!! 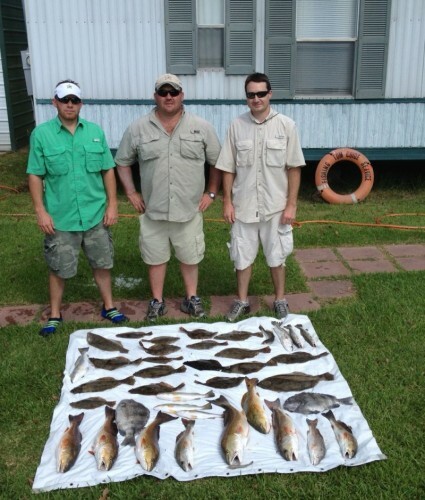 September 14, 2012 Jerrit, Cody, And Ryan Have a Busy Day on Lake Calcasieu!!! 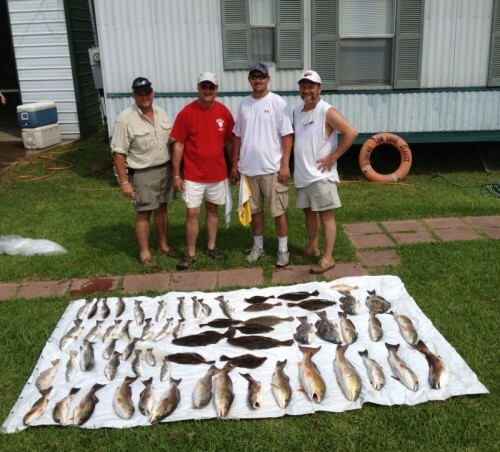 September 14, 2012 Jerrit, Cody, And Ryan Have a Busy Day on Lake Calcasieu! Gulp was the key to filling the cooler with Hackberry Halibut! Plus some beautiful Big Lake Bronze Beauties and some trout to finish with some nice Big Lake Slams!! !